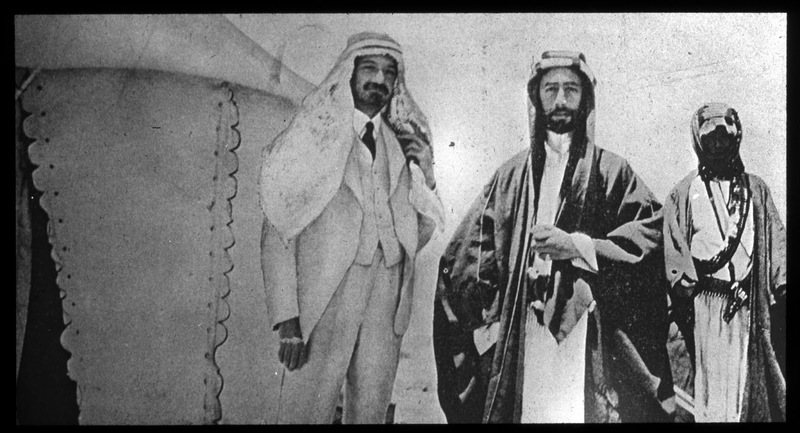 History books provide glimpses of nearly a century of ties between Hashemite rulers and Jewish leaders, starting with the pre-state of Israel. Dr. Chaim Weizman of the Zionist Organization met with Emir Faisal in January 1919 and signed an agreement of understanding. T.E. Lawrence (of Arabia) was the interpreter for the meeting, but it is not certain to this day just how much of an "agreement" it was. Nevertheless the acts of meeting and dialogue were monumental. These two photographs, however, fill in some of the years. 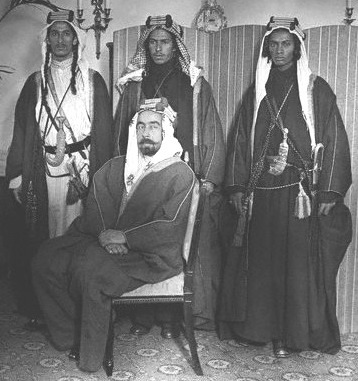 The first shows Emir Abdullah's personal bodyguards in 1922 -- armed Jewish Yemenite warriors from the Habani tribe. The three men were brothers -- Sayeed, Salaah, and Saadia Sofer. Notice their traditional side curls (peyot). The men of the Habani tribe were known as tall, muscular and fierce warriors. Hashemites also used Circassian bodyguards. 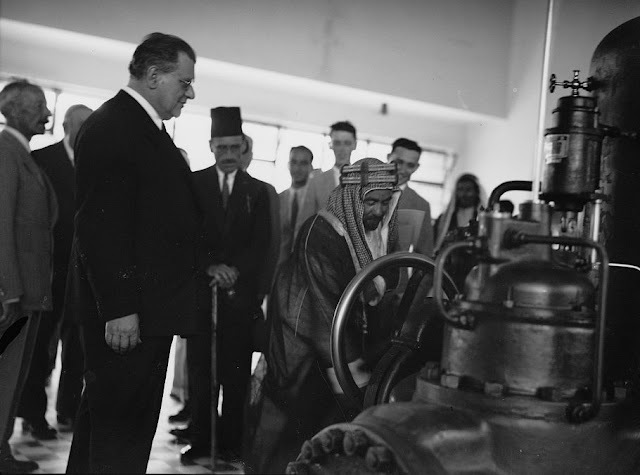 In 1932, King Abdullah was again in close relations with the Jewish Yishuv when he inaugurated the major hydro-electric power plant in Naharayim located on the Transjordan side of the Jordan-Yarmuk Rivers confluence. The Jewish project was headed by Pinhas Ruttenberg, the founder of the Palestine Electric Company. The joint project required security cooperation between the two sides to protect the plant and power lines. More information on the power plant can be found here, The Great and Electrifying Pinchas Ruttenberg. Ruttenberg watches Emir Abdullah start the turbines at the Naharayim power plant. (1932, Library of Congress) Is that one of Abdullah's bodyguards watching on the right? Those were the days :-) in 1948 everything changed. Incredible images via early camera shots. Man on far right, bottom pic appears to have payot, so the answer would be 'yes'? The man on the right (bottom pic) having payot, I'm guessing the answer to your question is 'yes'?